We've started a flickr group where you can share photos of your quilts or projects that you made based on the book Sunday Morning Quilts. 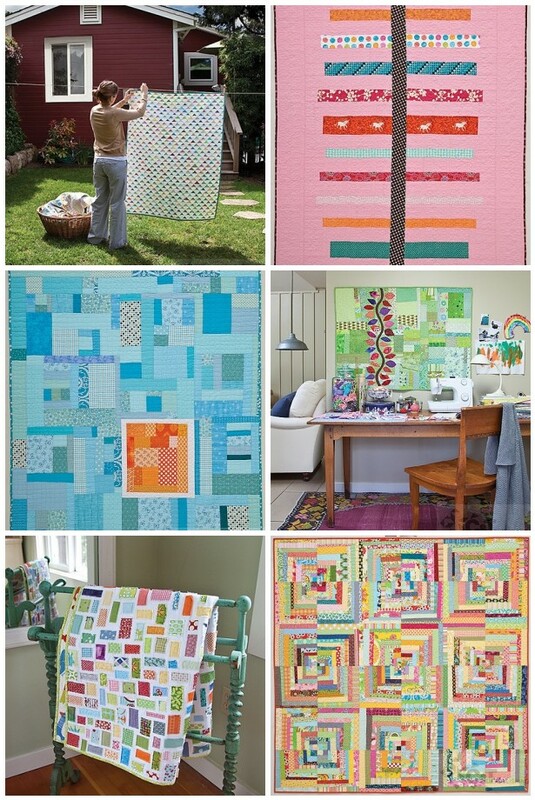 We want to see what you are making..and we want to see your scraps! Perhaps a pile of unsorted scraps to start with, then show off your organizational progress. 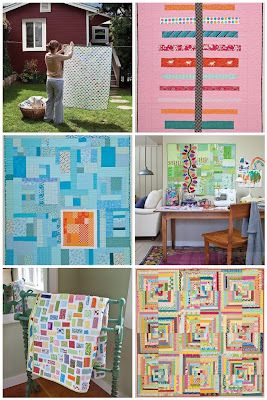 We love seeing scraps in action! We aren't making any promises, but if you have a question that you would like answered in regards to the book or the writing of the book, we will try to work that in, too. So ask away! I am so excited! What an amazingly perfect way to post each Sunday. It will be like quilt comfort food. I already joined up your flickr group and posted my green slabs! I also have a good sized stack of small triangle scraps and 2.5" random squares. Trying to decide what I may do with them. I'm considering the thought of scrappy/imperfectly shaped bowties with them. Fabulous idea...I really enjoyed seeing some of the quilts in real life at Cheryl's book signing and I so enjoyed meeting Cheryl. I'm in complete scrap organization overdrive as we speak and also did a post on your book. It's wonderful. What a great idea! Looking forward to this! I love my book! I'll look forward to this new adventure! I love the book! I can't wait to start working... first I have to sort my scraps! Thanks for sharing your thoughts about writing your book. The perfect addition to my weekend - thanks for sharing. Sounds good. (just don't get too busy1:)) I've really enjoyed your book. Excited to see your post and Cheryl's. It was so great to see the quilts in person at market. I have the book, I have the scraps, I want to make everything in your book. What a fun idea. I did "make my own fabric today." Used some scraps to make a piece of fabric to make something else with. You have inspired me. I just tried to order your book on amazon but they are saying it won't be available until July/aug?? Haven't looked elsewhere yet but I will. Great idea, I'm off to flicker to have a look and try to join. I've just made my first box in red and given your wonderful book another plug. Yippee! I love behind the scenes stories and getting to learn more about how you two collaborated.